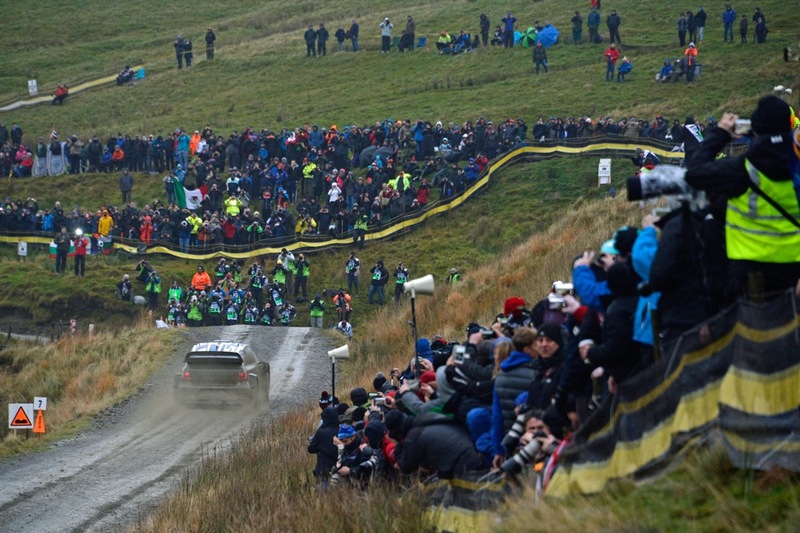 October’s Dayinsure Wales Rally GB will blast off in sensational style when the world’s best rally drivers take on a new challenge to open the event. There will be a spectacular competitive stage at the Tir Prince Raceway in Towyn, County Conwy. The stage will have a jump and a doughnut. This thrilling new addition to the three-day itinerary will feature a 1.1-mile (1.7km) floodlit course incorporating parts of Tir Prince’s trotting track and other areas within the park. Thanks to the proactive and enthusiastic support from Conwy County Borough Council – the rally’s official ‘Host County’ – the Visit Conwy Special Stage at Tir Prince will be an amazing opportunity for the public to see these amazing new WRC cars in action. In addition, fans will live through a full evening of exhilarating car-themed entertainment. There will be autograph sessions, interviews, commentary, big screens, trackside viewing areas, catering, a funfair, merchandise shopping. The Tir Prince stage offers outstanding value. Adult tickets are just £10 (on advance purchase, £15 on the gate), while children aged 15 and under will watch the spectacle for free. Admission is included with the four-day World Rally Pass, available for £99, and the Thursday Day Pass, which costs £28. The venue is easily accessible – it is close to Kinmel Bay in the busy North Wales resort region and close to the A55 North Wales Expressway. This location means straightforward travel for those in cities such as Liverpool and Manchester. The award-winning events team at Conwy County Borough Council were instrumental in facilitating this opening stage at Tir Prince.